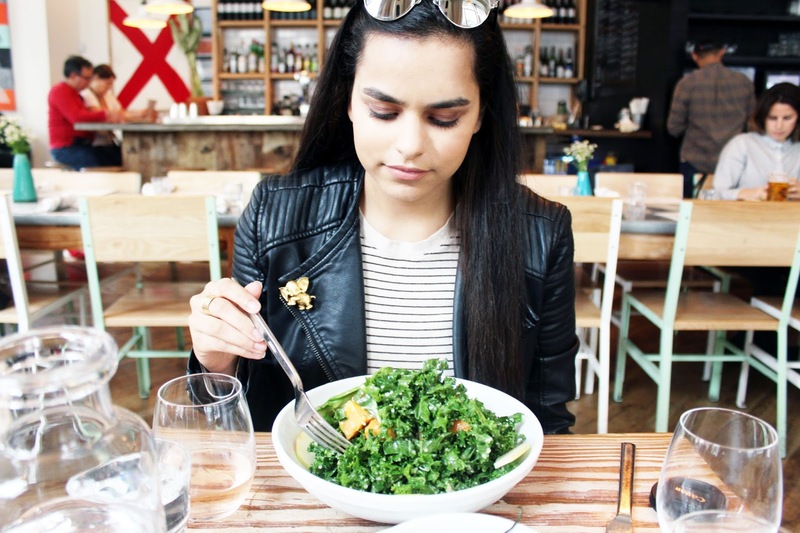 Miss Singh: NYC FOOD: SEAMORE'S! As you guys know, I love food and trying new restaurants, especially because I live in a big city and there are so many amazing options out there. I love giving you guys these reviews in case you live in NYC or visiting and want to try something new. I was in the Soho area the other day and stopped by Seamore's for lunch. I love the set up inside, all white with a pop of green. Tall windows and cute seating makes this place even a better experience. From the owner of the famous Meatball Shop, co-founder Michael Chernow’s knows what good food is. Inspired by fish shacks, this seafood spot has a variety of options for everyone and has a unique menu set up. A blackboard in the storefront lists a lot of different local fish like hake, porgy, flounder, monkfish and sea robin. It is a fun concept to pick what fish you would like, your sides and the sauce, making it a fun build it yourself meal, especially for fish lovers. If you are not in the mood for such a filling meal, they have other great options like fish tacos, salads, sandwiches and some great appetizers to share. They had a great wine list too and of course delicious cocktails. We opted for a refreshing Rosé and Chardonnay as I prefer those during the day time. For the appetizer, we got the Blistered Shishito Peppers that were absolutely amazing and had the perfect amount of spice to them. If you enjoy unique spicy things, you will love these. I wasn't too hungry and wanted to keep it pretty healthy. I decided to try the Kale salad which was super fresh and of course you have the option to add some fish to it! I have had my fair share of kale salads and this one was really good. The apple vinaigrette dressing is sweet, sour and savory all at the same time. We also got the Oh Boy burger, which is a skate fish burger with sweet potato fries on the side. It was super crispy and you can actually taste how fresh the fish is. The sauce and pickles inside complimented it perfectly. I also loved how they have a take out window which serves Poke (raw fish salad) and soft serve ice cream which adds more charm to this seafood spot. They also have a heart filled graffiti wall perfect for those Instagram pics! Overall, I enjoyed my meal at Seamore's. The service was great and the food was yummy! I highly recommend checking it out if you are in the area or visiting NYC! If you enjoy fish, this is the place for you! What are your favorite spots to eat in NYC?